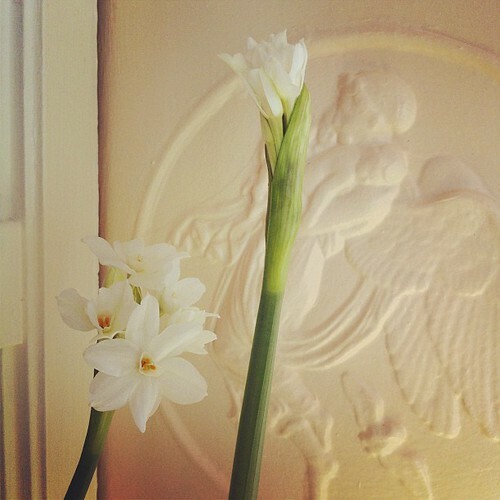 Today the paperwhites bloomed, filling the air with their spicy, peppery scent. I think it was this photo that first inspired me to force bulbs for Yule. 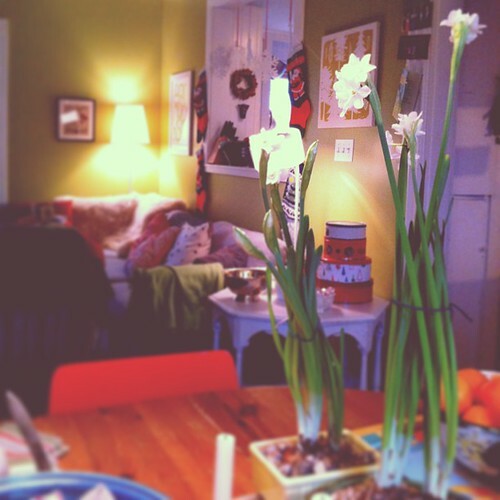 Once again, vintage pottery containing paperwhites line the mantle, sit on every table, dresser and shelf. Today was also for making. 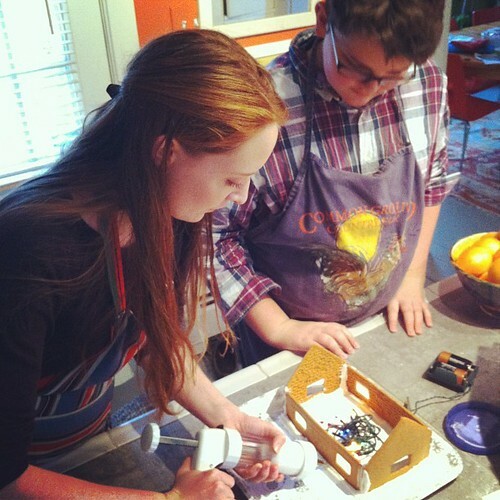 While I was out in the hustle and bustle, the kids put together two gingerbread houses. The houses weren't made from scratch this year, as intended. Part of enjoying the season is having the flexibility to let go of some things that feel like just too much, if needed. 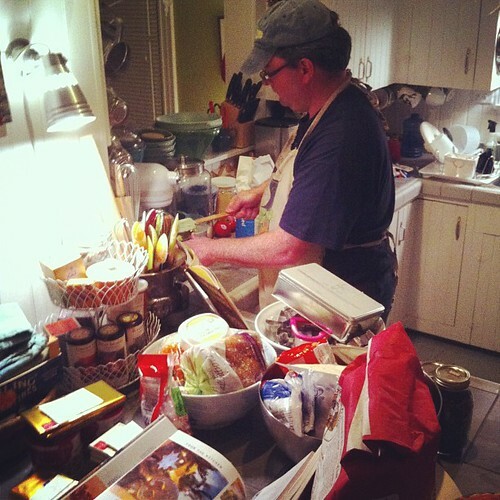 Alex, however, did make several varieties of fudge, caramels and cookie dough and the baking and making will continue for the next several days. In our home, there are stacks of things, bowls filled, ornaments, cards, art and well, stuff, everywhere, especially this time of year. 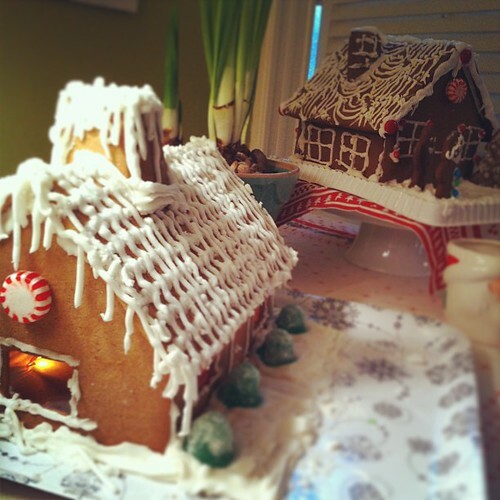 It was no small feat finding a surface for not one, but two gingerbread houses. 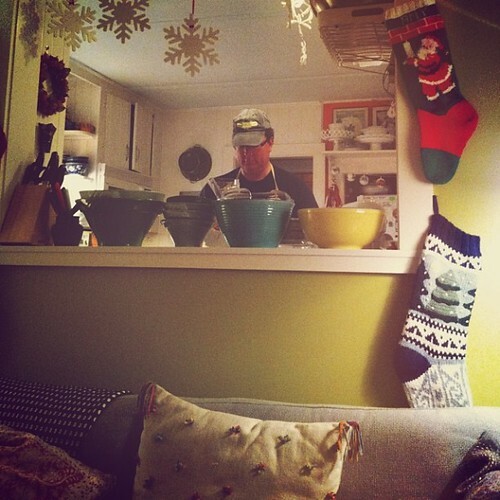 While I admire the spare, all white, minimally decorated spaces I see on-line, I know we're well-past achieving that. It is no matter; every bit and piece is loved, has memories associated with it, was crafted by one of us or passed on to us by a friend or family. More the merrier? Maybe. 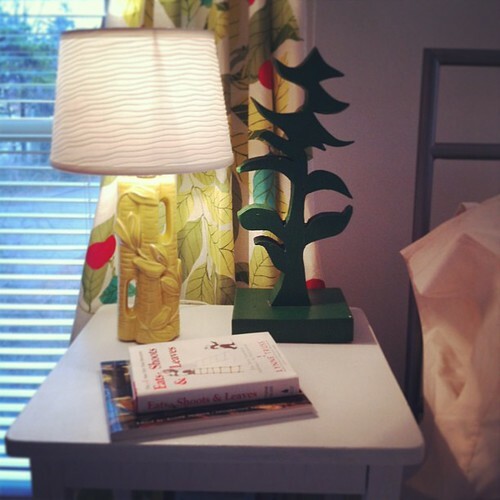 Perhaps it's more about making room for making merry.